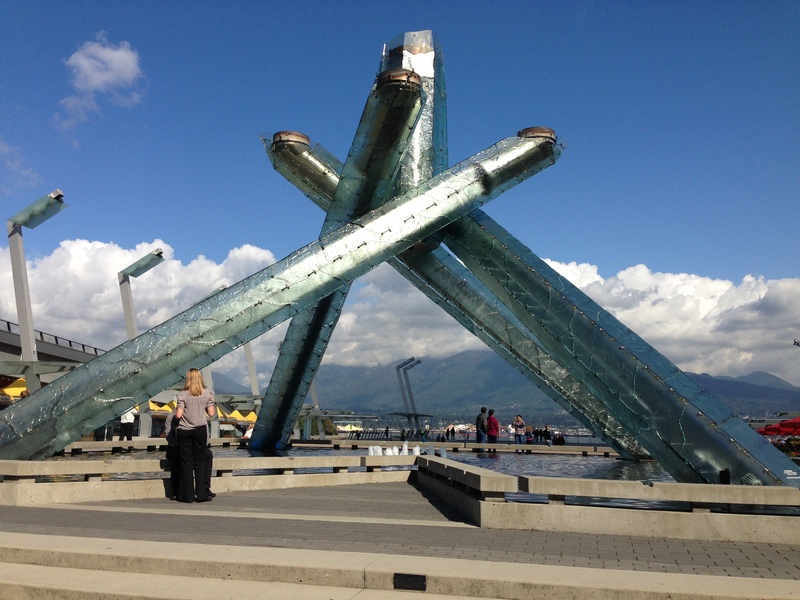 Before I went on vacation I learned that Vancouver is known for their BC Bud. Now, I don’t smoke pot or do any other drugs. Honestly, I’m just not good at drugs. I took an Ultram once and didn’t sleep for three days. But I thought maybe grandma might want to give it a try. I’m pretty sure it’s on her “I’m not going to kick the bucket” list. But I didn’t want to throw her right in to a new world of drugs and fun, so first we went to lunch on the water by the convention center. 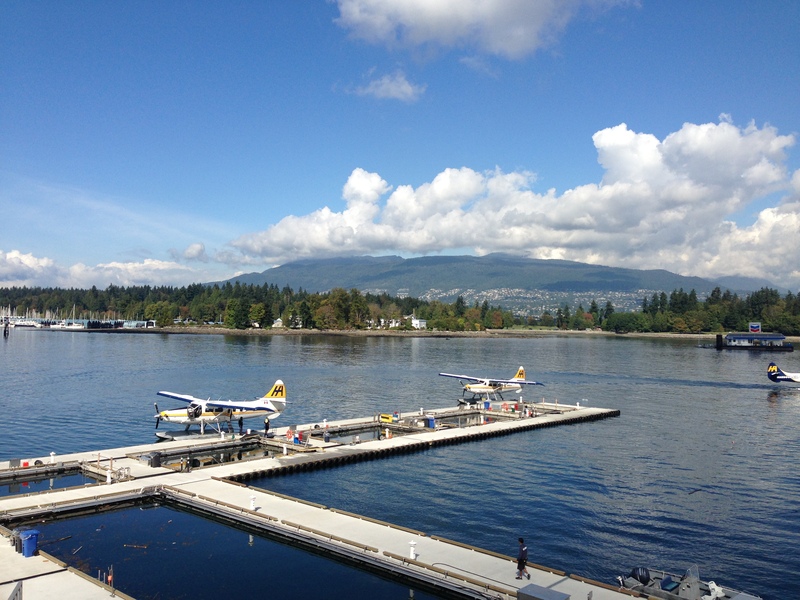 The Husband and I went to check the area out first and we found a cute pub with a view of the seaplanes taking off. 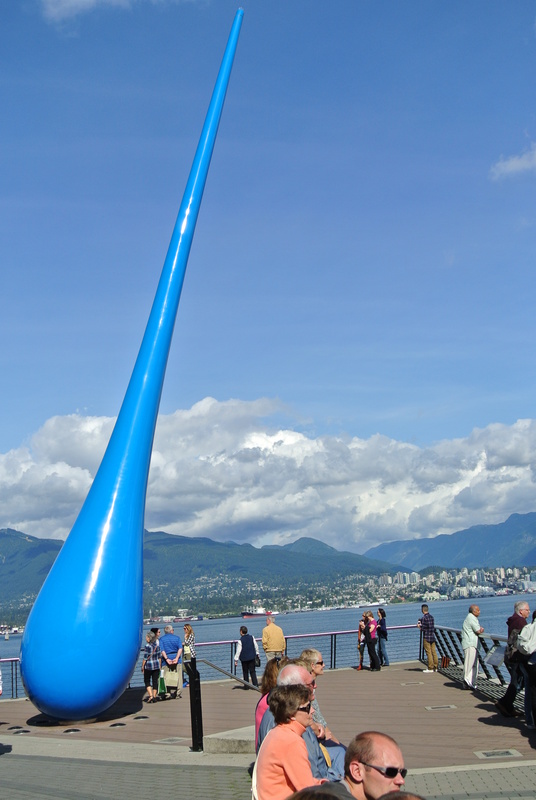 So I called the family and had them meet us at the giant blue hair follicle. We had a lovely lunch at Mahoney and Sons. 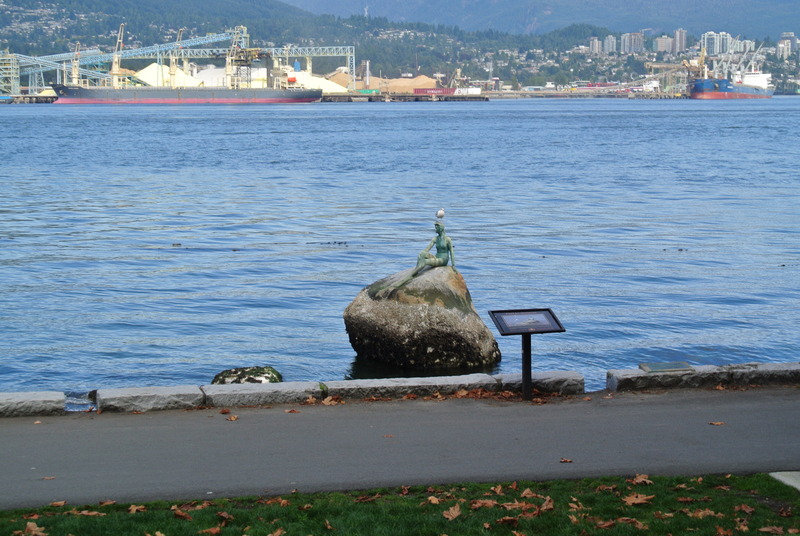 Watching the seaplanes take off and land was really fun. And the view of the mountains and the water was so beautiful. 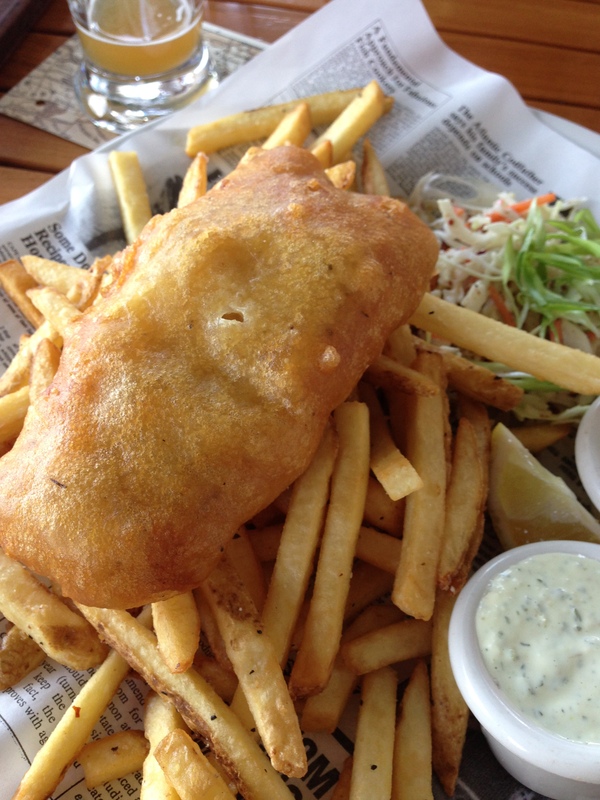 Fish and chips at Mahoney and Sons. Photo op on the water. 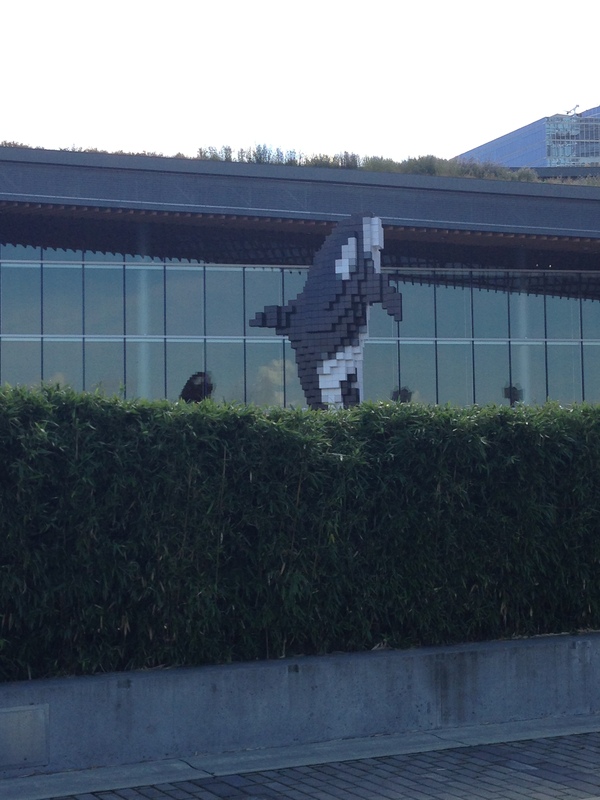 We saw a digital orca. My mother is obsessed with the Olympics! 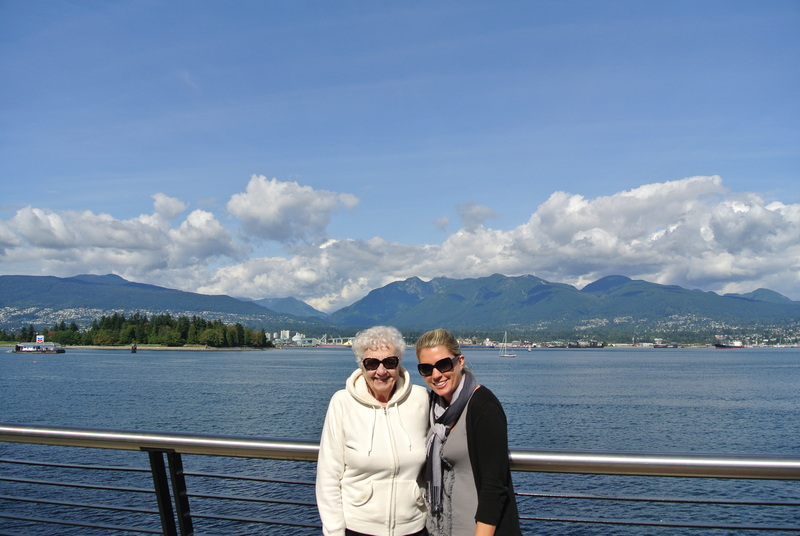 The next day grandma, the Husband, and I went to Stanley Park. 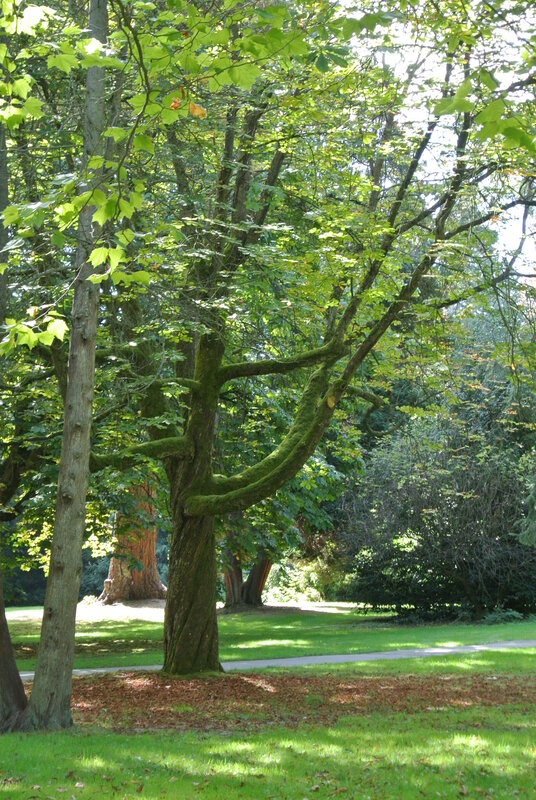 We walked around and enjoyed the trees and flowers. 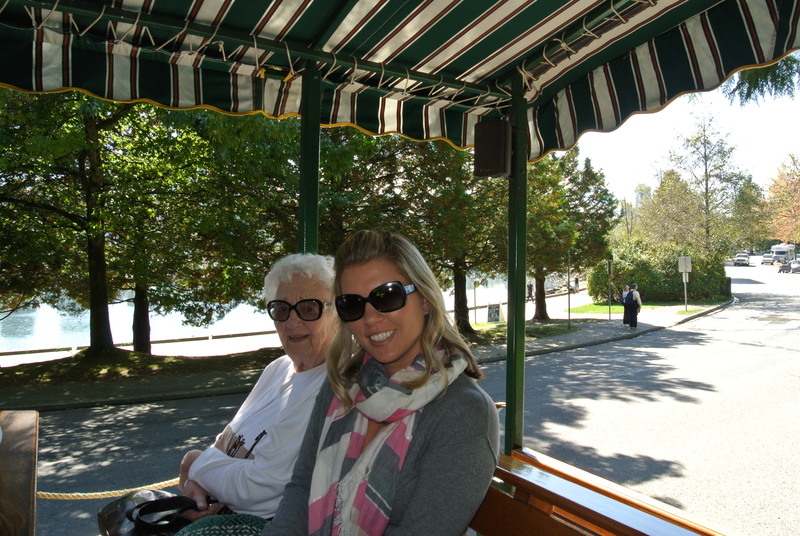 We had a lovely lunch then headed on a horse drawn carriage ride. 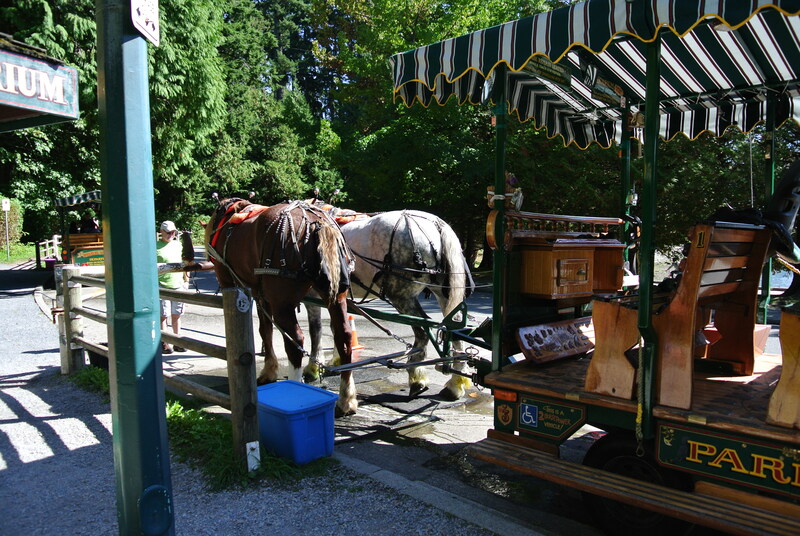 The carriage took us all over part of Stanley Park. The view was so beautiful. 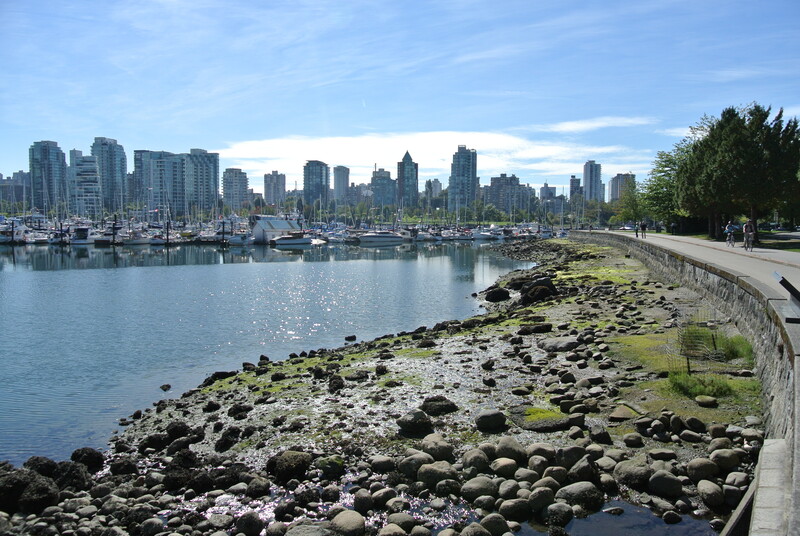 Seriously, Vancouver is such a fabulous city! 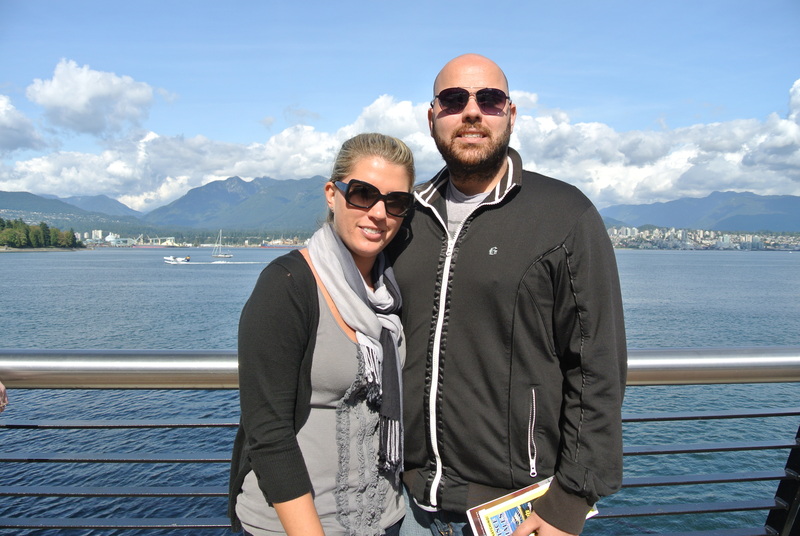 The next day we took a bus and the ferry to Victoria. And no, grandma never did try the BC Bud.